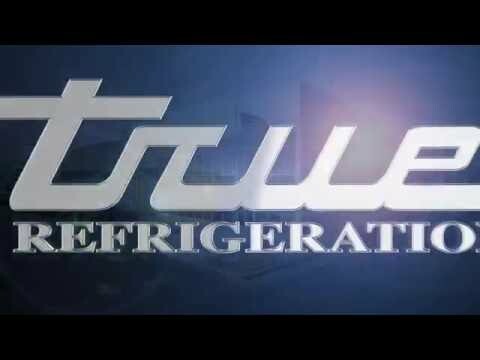 Home / Restaurant Equipment / Commercial Refrigeration / Prep Table Refrigeration / Sandwich and Salad Prep Tables / True TSSU-48-18M-B Solid 2 Door Mega-Top Sandwich / Salad Refrigerated Prep Table, 48"
True TSSU-48-18M-B Solid 2 Door Mega-Top Sandwich / Salad Refrigerated Prep Table, 48"
The True TSSU-48-18M-B Solid 2 Door Mega-Top Sandwich / Salad Refrigerated Prep Table is designed with enduring quality that protects your long term investment. Comes equipped with (18) 1/6 size, 4 inch deep, polycarbonate pans and a white 8-7/8 inch deep, removable cutting board. Made of sanitary, high density, NSF approved polyethylene, the cutting board provides a tough preparation surface. This Sandwich/Salad Mega Top has an all stainless steel front, top and sides with a matching aluminum finished back. The stainless steel, patented, foam insulated hood and lid keep pan temperatures colder, lock in freshness, and minimize condensation. With a capacity of 12 cubic feet, the cabinet has an attractive interior with a white aluminum liner, stainless steel floor, and covered corners. The True Sandwich/Salad Unit has (4) PVC coated shelves that are adjustable at ½ inch increments for your storage needs. Oversized, environmentally friendly (134A), patented forced-air refrigeration system holds 33°F to 41°F (.5°C to 5°C) in food pans and cabinet interior. The sealed, cast iron, self-lubricating evaporator fan motor and larger fan blades give True Salad/Sandwich units a more efficient, low velocity, high volume airflow design. 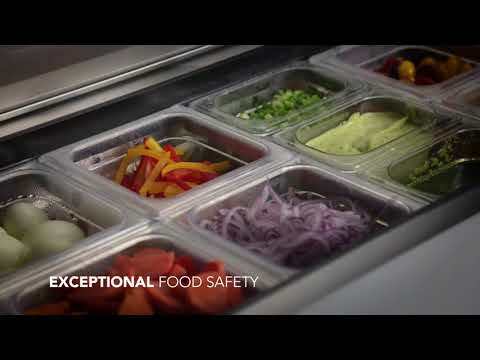 This unique design ensures faster temperature recovery and shorter run times in the busiest of food service environments. 5 inch casters, 1/3 HP, 115v/60/1, 8.6 amps, 7 foot cord, NEMA 5-15P, cULus, NSF, CE, MADE IN USA. The unit can accommodate 6 inch deep food pans and varying size configurations (sold separately).